Actors from across the sector are making public commitments to sustainable coffee to help track our progress. Isn’t it time to add yours? The Commitments Hub showcases and tracks each partner’s unique contribution to making coffee the first sustainable agricultural product. Collecting and tracking commitments in this common, neutral space enables us to better understand and learn from and scale up the numerous efforts underway. Commitments generally take the form of investments and actions designed to achieve specific targets or outcomes. Commitments can be large or small, global or local. Every commitment matters, no matter the size or scope. 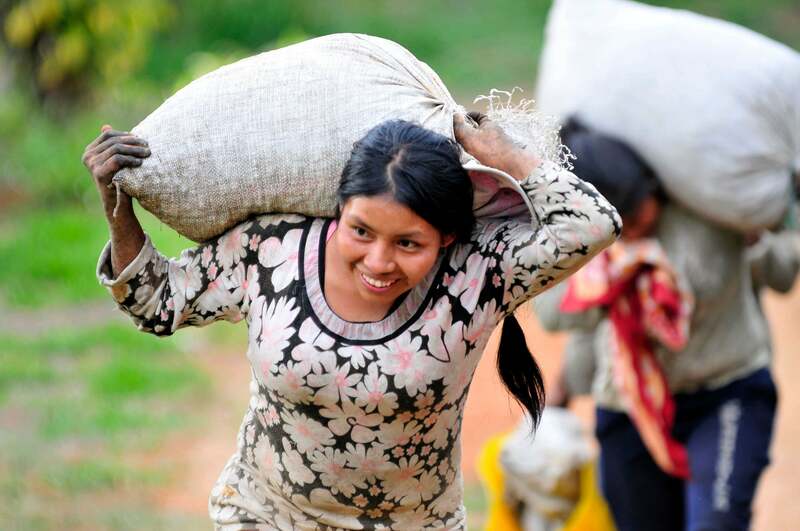 Be new or active: Every commitment that is stated via the Sustainable Coffee Challenge should be either a new commitment or an existing commitment that has yet to be achieved. Incorporate SMART objectives: Commitments should be Specific in what they set out to achieve, incorporate Measurable targets, be Ambitious in nature, Relevant for the industry, organization or supply chain that it is targeting, and be Time-bound. Aim for impact: Commitments should consider the contribution to one or more of the 'Compass Points' – sustain supply, conserve nature, improve livelihoods, strengthen market demand. Able to be reported on at set intervals: Organizations should enter commitments that can be reported on in the system on an annual or semi-annual basis with 1st, 2nd or 3rd party data. Listen to the webinar on YouTube or read the "Guide" below for a virtual step-by-step walk-through of our Hub! Watch it on YouTube. The Hub, powered by Goodera, prompts partners to enter commitments and report on progress using a step-by-step approach. When you're ready to state your commitment, enter the Hub by clicking the button below. Remember, the Commitments Hub Guide document (above) will help answer your general questions but the Challenge team is always available via email!